Australia has countless beaches. Beautiful, unspoilt – and dangerous, too. In spite of the coastline being a very long series of wonderful beaches, it’s not always obvious whether you can safely jump in for a swim. We’ve already shown you some of our favorite beaches to do that along the Eastern coastline. 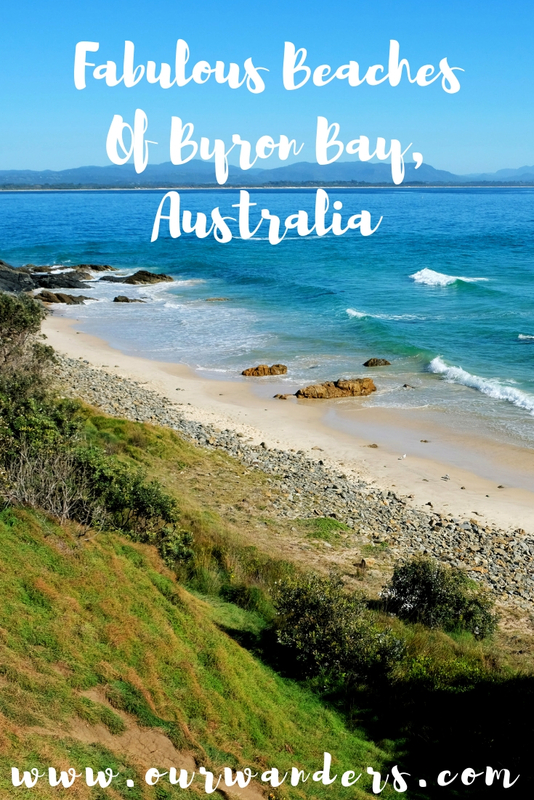 Now we are telling more about the most famous swimming beaches of Australia: the beaches of Byron Bay. First of all, here’s a simple advise. 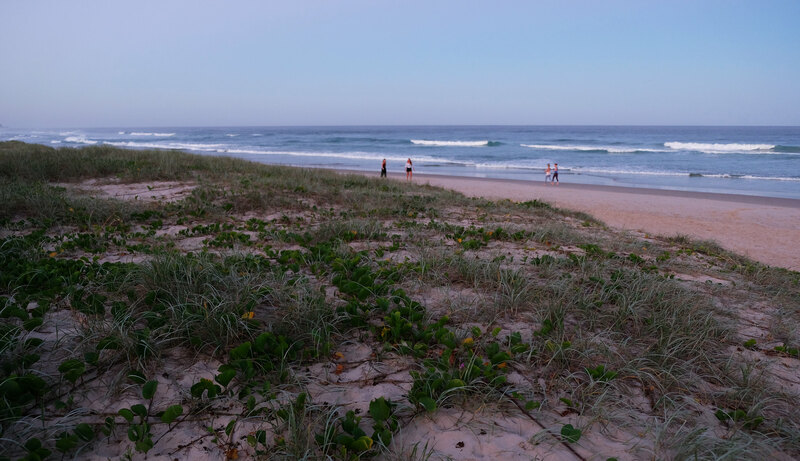 If you are looking for a variety of patrolled swimming beaches with pleasant water and air temperature for most part of the year – and without deadly marine stingers and estuarine crocodiles -, you should take a careful look at the 1000 kilometres long coastline between Sydney and Brisbane. Because that’s where most of those beaches are located. Like the beaches of Byron Bay. 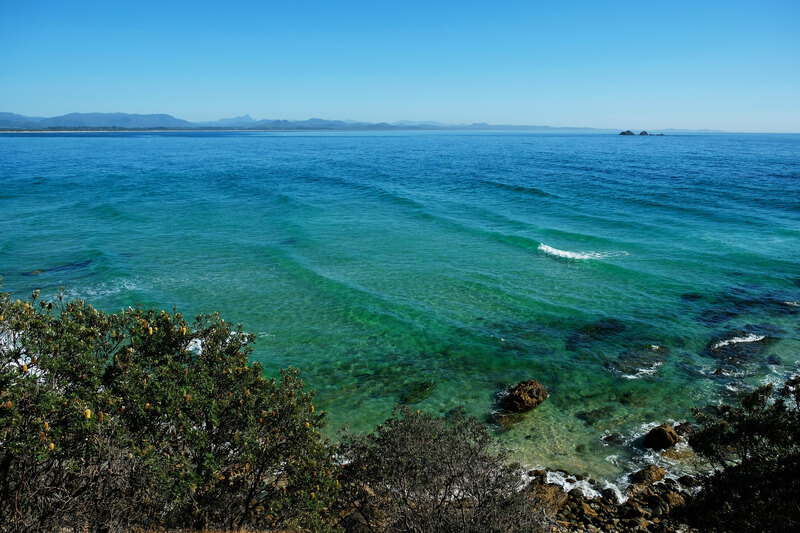 Byron Bay offers quite some pretty beaches, and five of these are especially popular. Luckily, they are located next to each other, so you can easily walk from one to the other. The largest is the Main Beach. 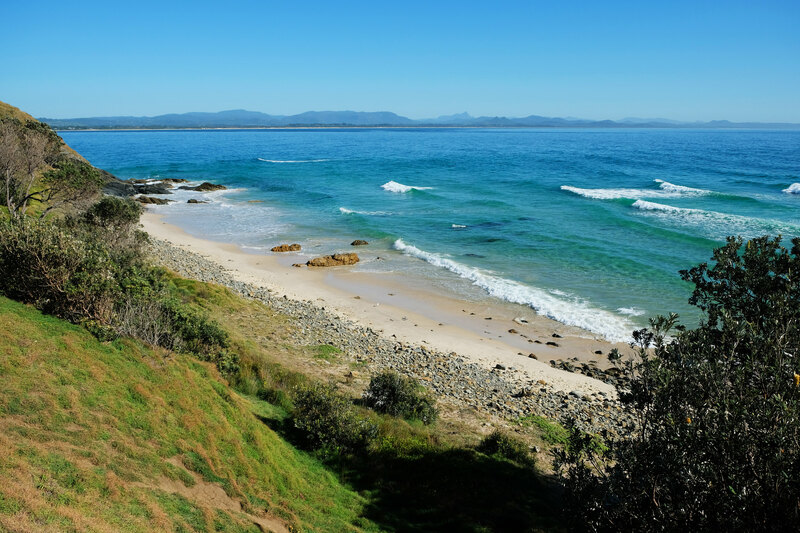 It doesn’t have the name for nothing, it’s the main beach directly in front of the town of Byron Bay. It’s relatively well-protected and patrolled all summer. As Main Beach continues eastward, it becomes Clarkes Beach. This one is ideal for windsurfing and body-boarding. It’s also patrolled. The next one is The Pass: a gap between Fisherman’s Lookout and the headland. It’s one of the most popular surf breaks. Fisherman’s Lookout is a wooden platform that offers a nice view of nearby beaches. And here come our personal favorites: Wategos Beach and Little Wategos Beach. 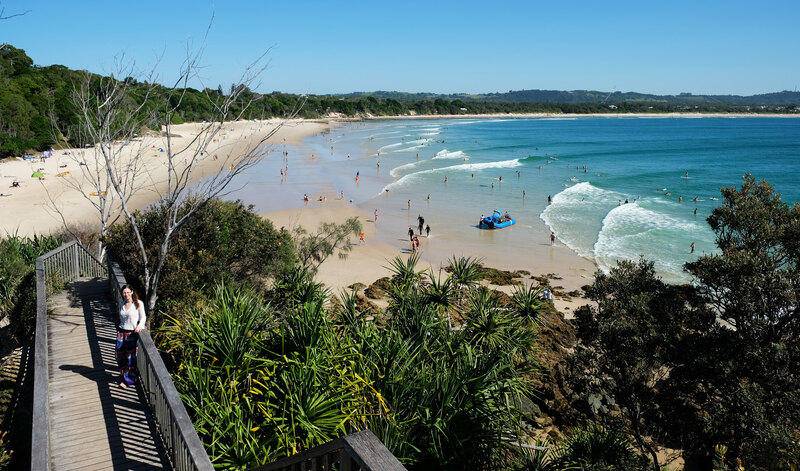 Wategos Beach is a more secluded, sheltered north-facing beach with free electric barbecues and picnic tables. It can altogether disappear at high tide. 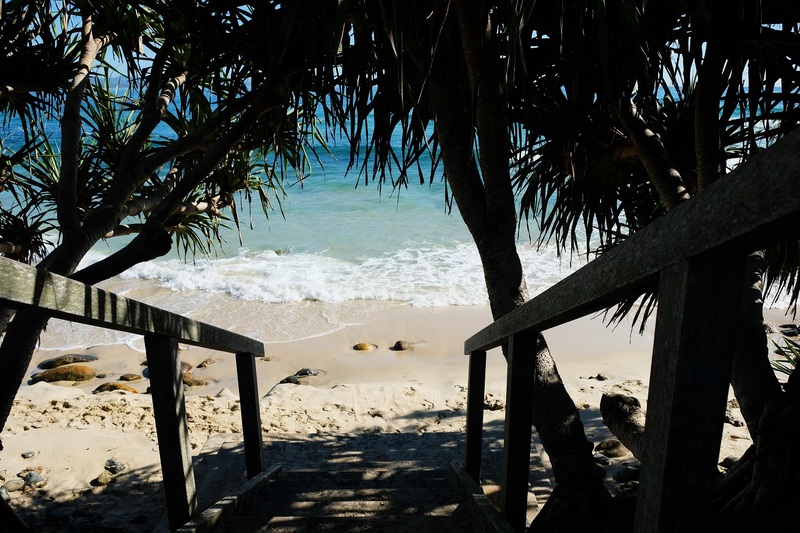 Little Wategos Beach is not even accessible by car, it’s a short walk from Wategos Beach on a wooden boardwalk. Tallows Beach is a bit further from them, on the other side of Cape Byron. This deserted sandy beach stretches for about 7 kilometres. There’s a reason it’s deserted: it’s not so well-protected as all those mentioned before. But it’s ideal for long romantic walks around sunrise and sunset. 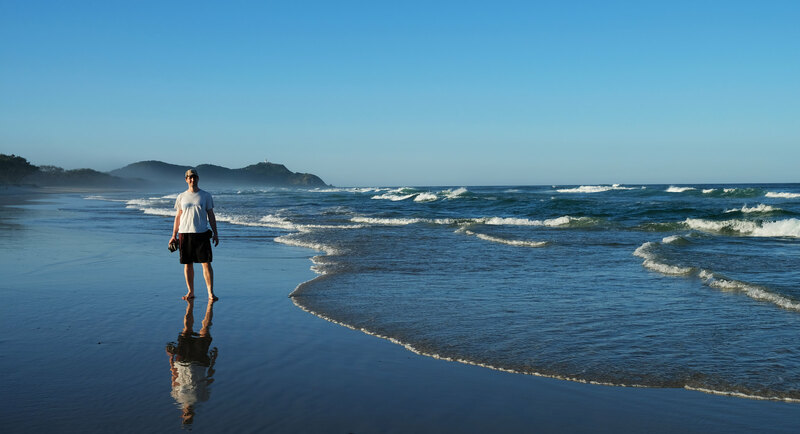 Though Byron Bay can keep anyone busy with all the beautiful beaches and large waves, there’s a coastal walk you don’t want to miss. At least we didn’t. And it’s one of the most pleasant and beautiful walks we’ve found along the Eastern coastline. It starts from Wategos Beach and ends at the Cape Byron Lighthouse. 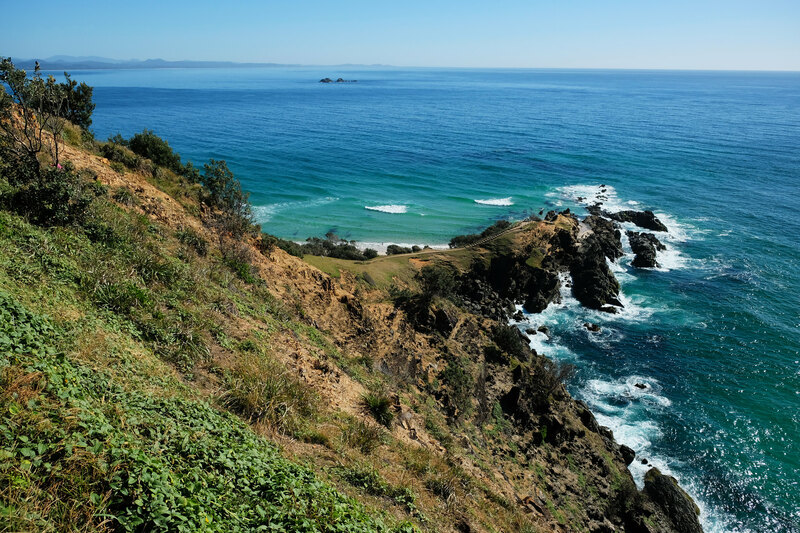 Cape Byron is the easternmost point of mainland Australia. 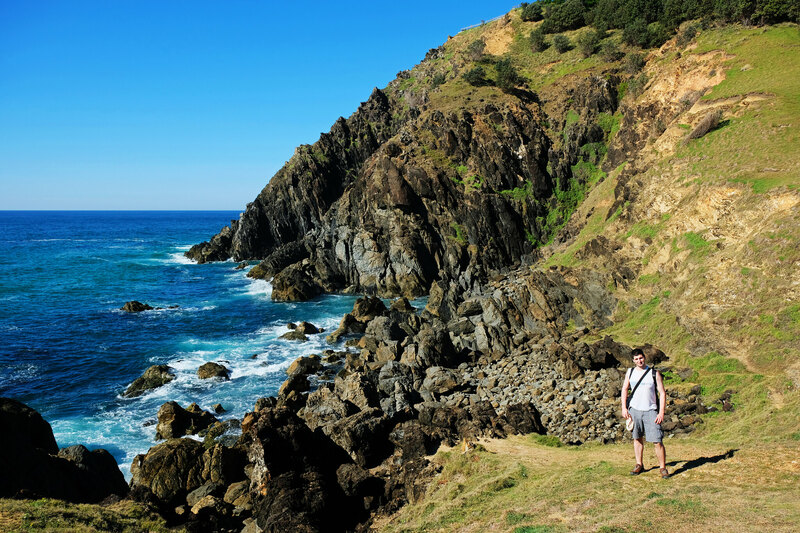 The Cape Byron Walking Track, ribonning around the headland, offers spectacular coastal views! Allow a couple of hours to enjoy the views. Another important thing to keep in mind if you actually want to enjoy this walk: do it in the morning or around sunset, especially in the summer. There is very limited shade on the track, and it’s better to be on the beaches in the hotter part of the day. Are Australian beaches on your bucket list?